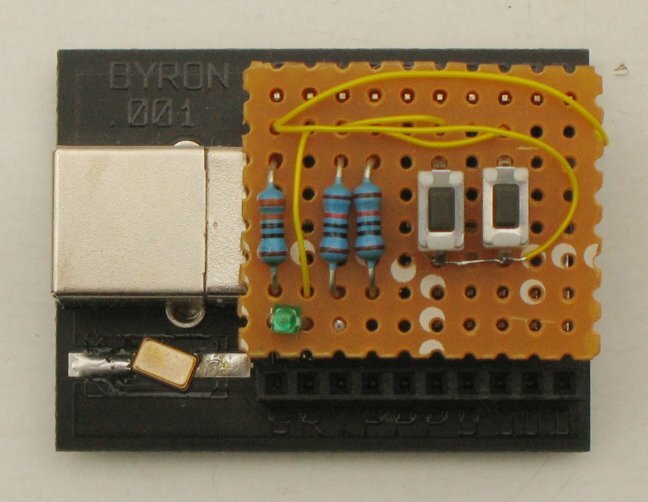 The BYRON 001 board in MIDI mode is a input only note and CC generator. Shorting some pins to ground on one header will generate a note-on message, removing the short a note-off. Applying a voltage between ground (G) and the supply voltage (+) will generate CC messages corresponding with the voltage. Only if the voltage changes, a message will be send. 'aconnect' is part of the alsa-utils package. The Pd-extended iem package contains objects that implement aconnect from within PureData. The PBn and PDn pins have internal pull-up resistors, so just shorting them to GND wil produce a note on message. 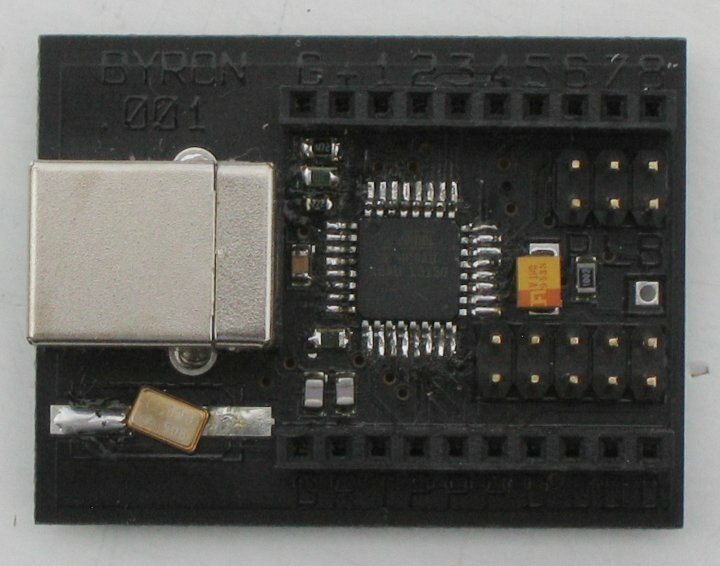 This small board that connects to the top header (analog controllers) of the Byron 001 board, allows connection of two variable resistors. 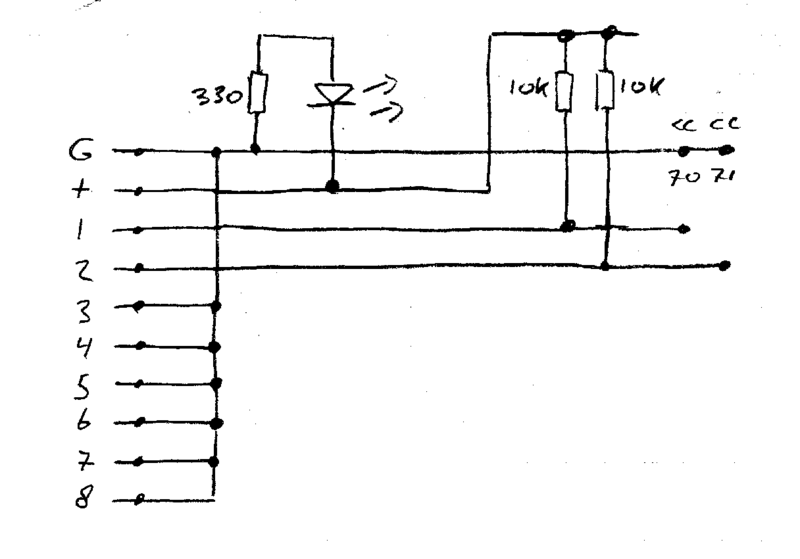 The voltage on the pins is converted to values between 0 and 127 for controller 70 and 71. The other pins are shorted to prevent noise messages on controllers 72 to 77. Messages are only sent if the value changes. The switches limit the message values to 127 (open) and 0 (closed). The remaining resistor and LED are connected between GND and Vcc (I like LEDs).